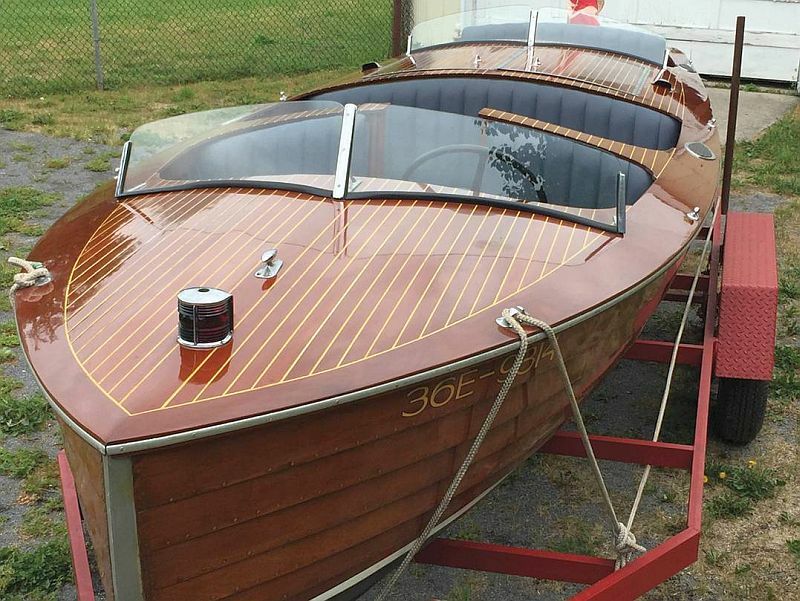 You are browsing the archive for vintage wooden boats. 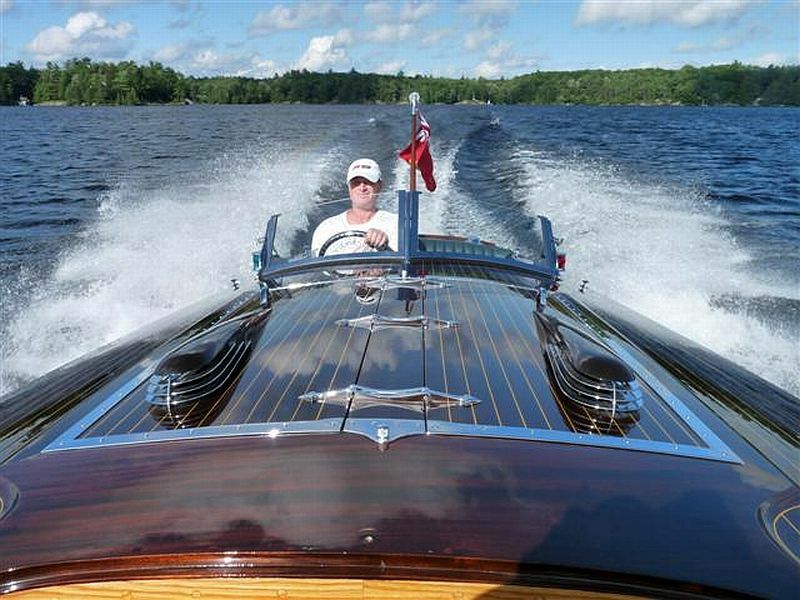 Although it’s only mid December, Ontario’s Muskoka region is buried in some forty centimetres of snow, and winter storms have pounded the Carolinas and even Texas. 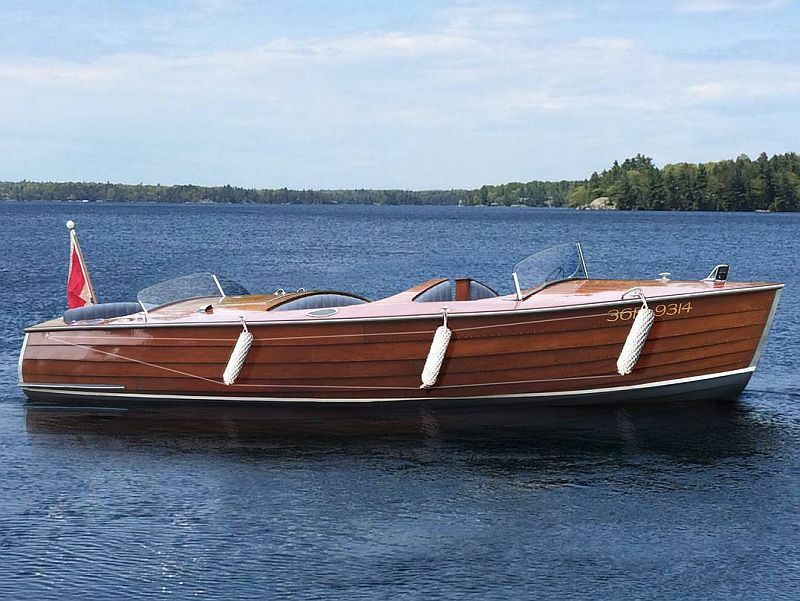 It’s enough to make woody enthusiasts beg for summer. 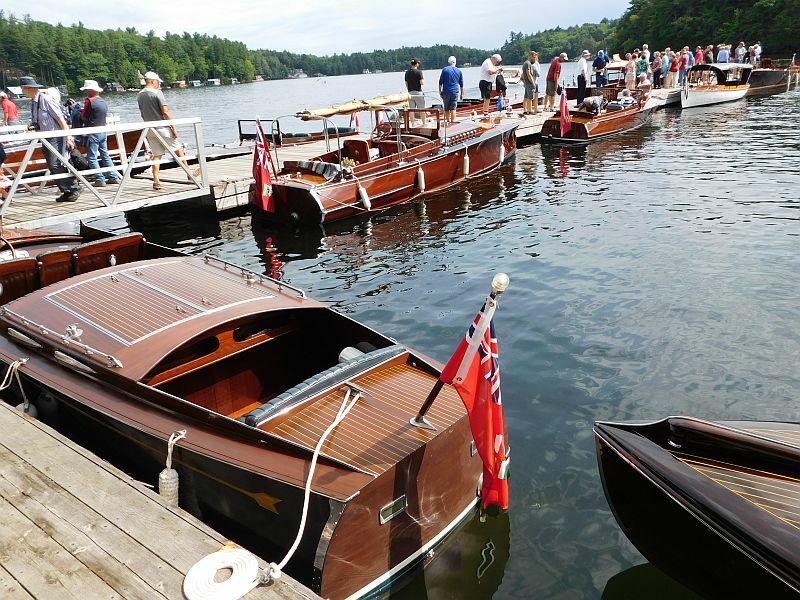 Althnough we can’t produce warm weather, we hope that this video of an Antique and Classic Boat Society show in Gravenhurst, will provide cheer through these cold, short days. 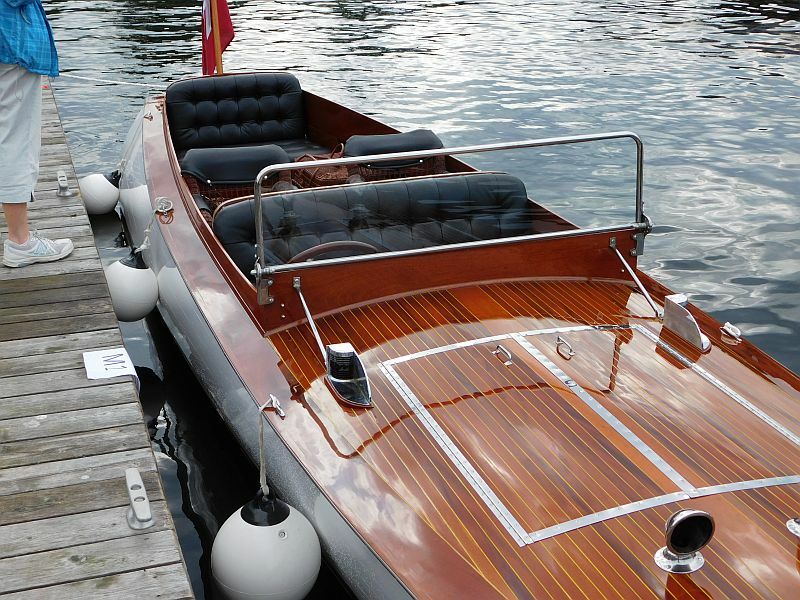 The “footage” in the video was shot by N.H., the former owner of Port Carling Boats. Enjoy. 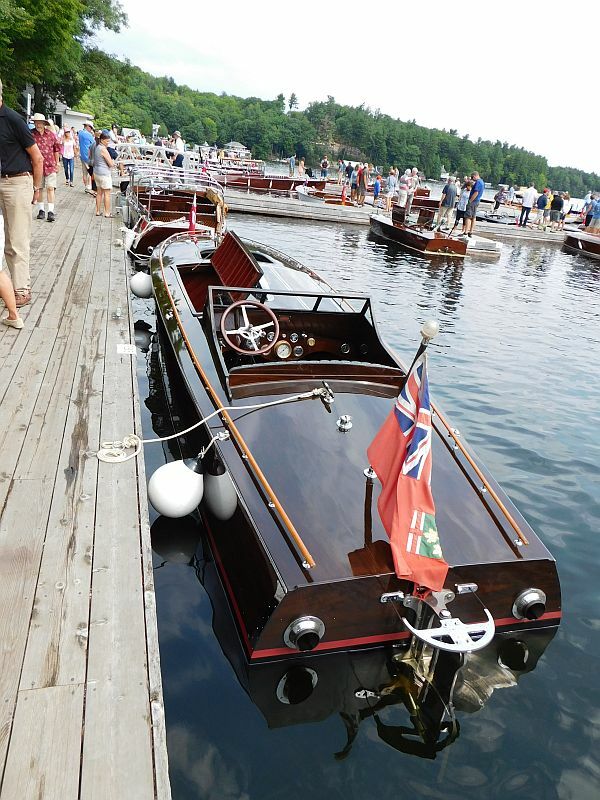 Tags: ACBS, ACBS Boat Show, antique boats, antique wooden boats, classic boats, classic wooden boats, Gravenhurst Boat Show, Port Carling Boats, vintage boats, vintage wooden boats, wooden boats, woody boater Comments Off on A blast from the past! 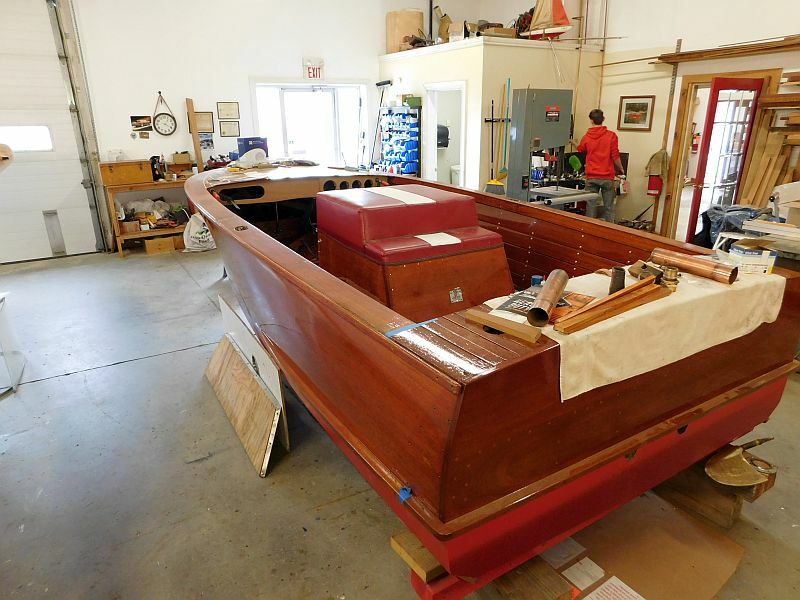 What’s cooking at Butson’s boat shop? 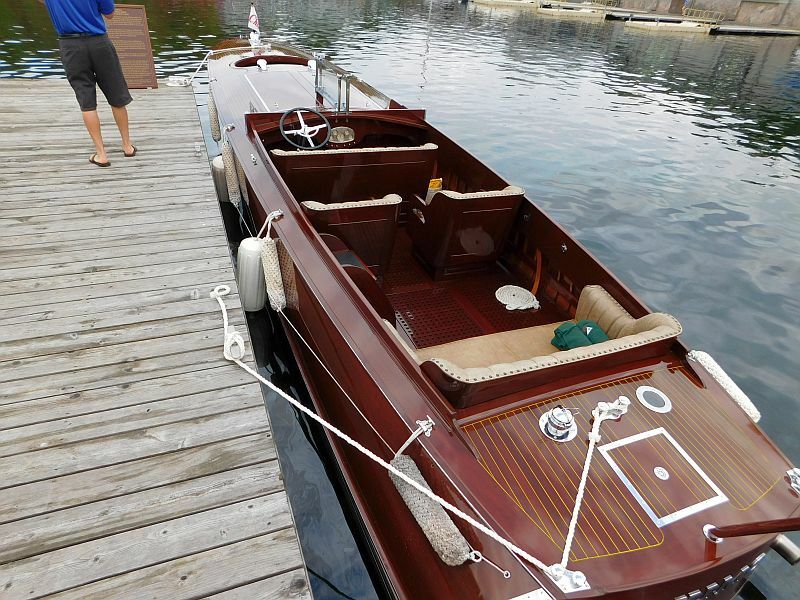 After a six month absence, it was time to get back to Tim Butson’s boat shop in Bracebridge, Ontario. 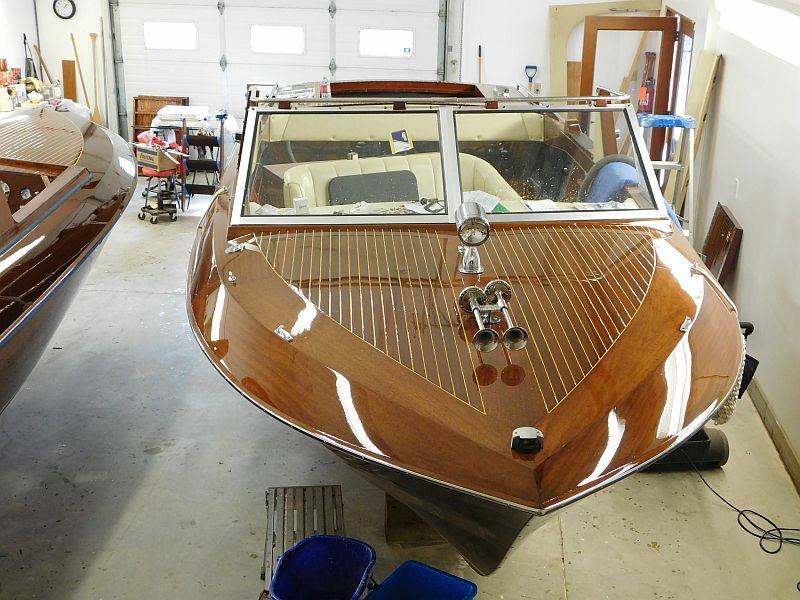 Tim and his staff are nearing completion of at least three classic watercraft, including two Greavette Executives and a Grew day cruiser. 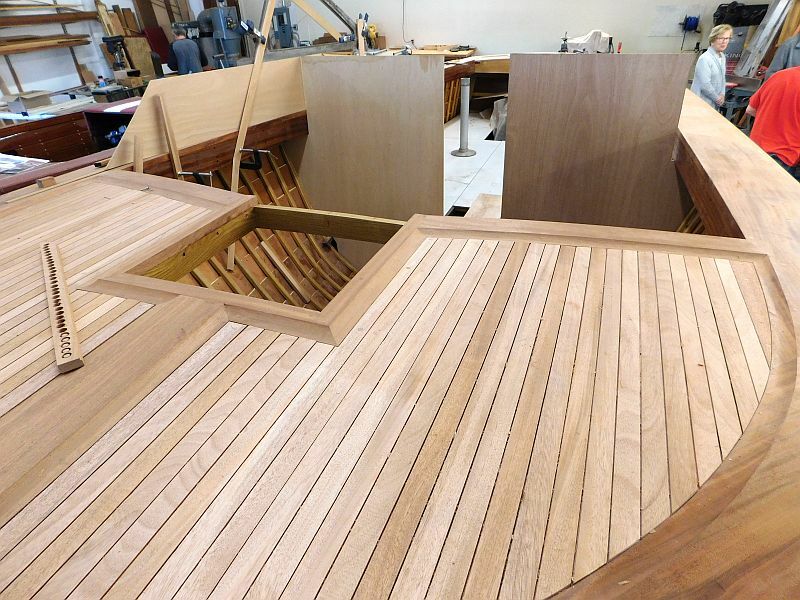 As usual, the shop was humming. 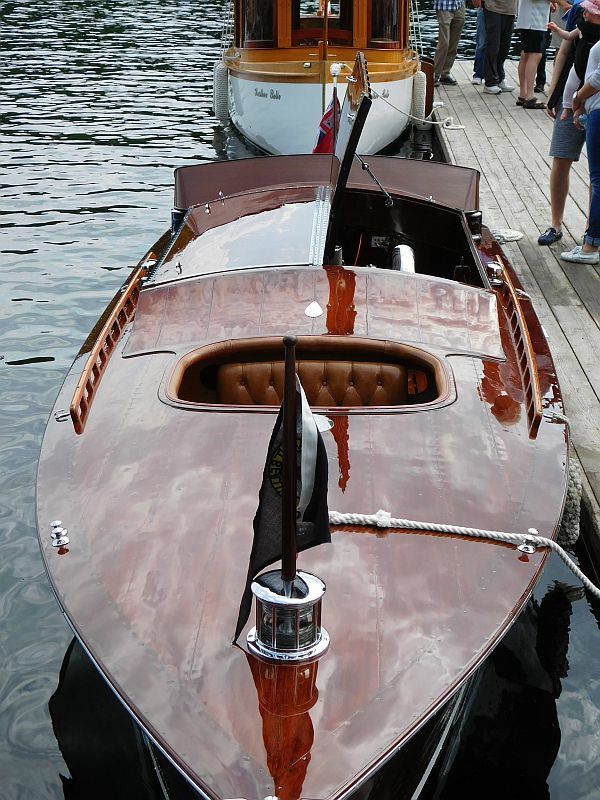 Enjoy the photos below, and stay tuned for the video. 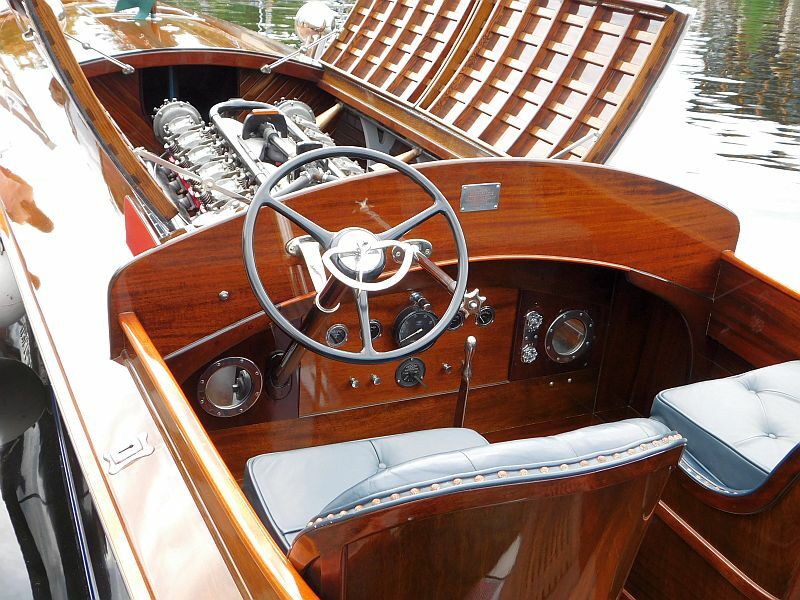 It’s hard to imagine how a virtually dust free finish could have been applied to the Greavette Executive, circa 1973. 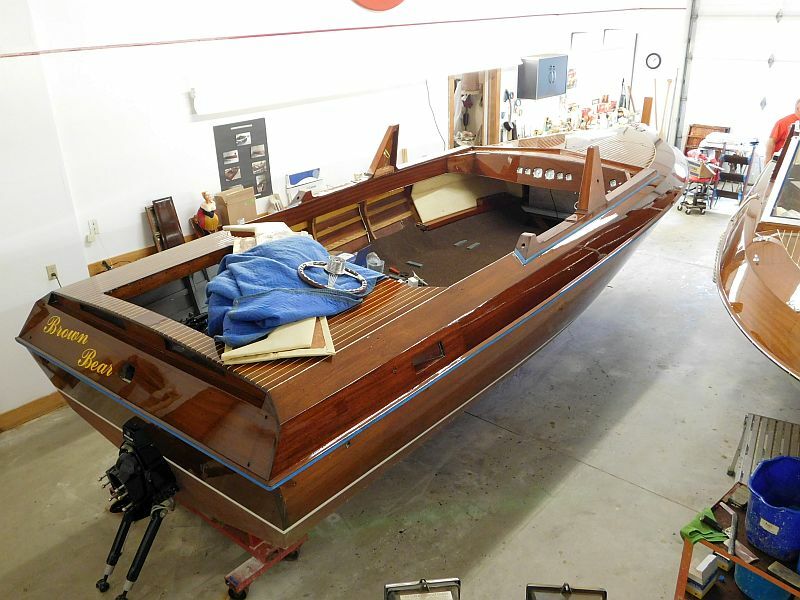 “Brown Bear”, another Greavette Executive, awaits further completion. 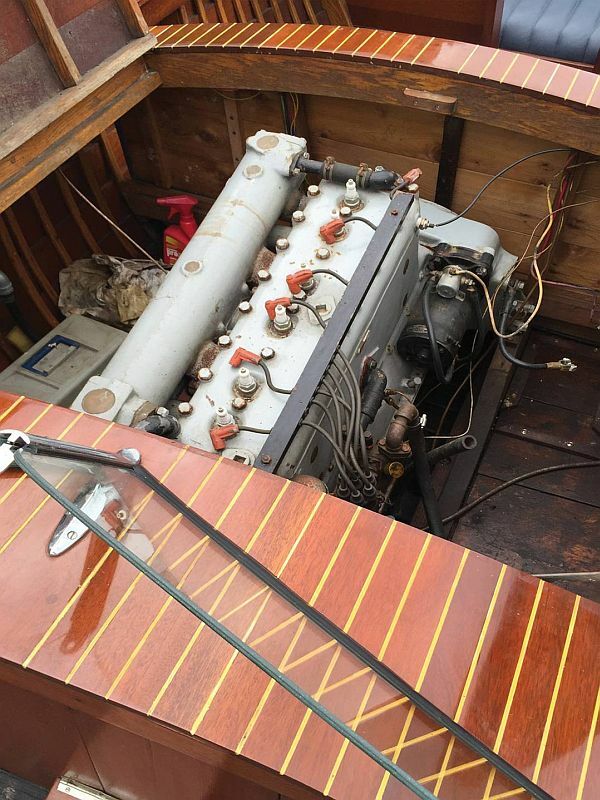 This ‘big water’ Grew has been rebuilt from top to bottom. 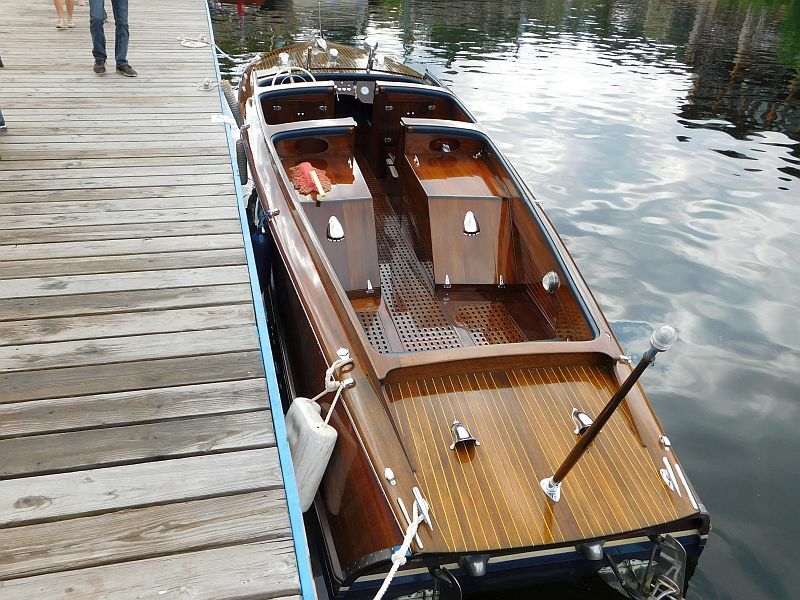 Stern end of the Grew. 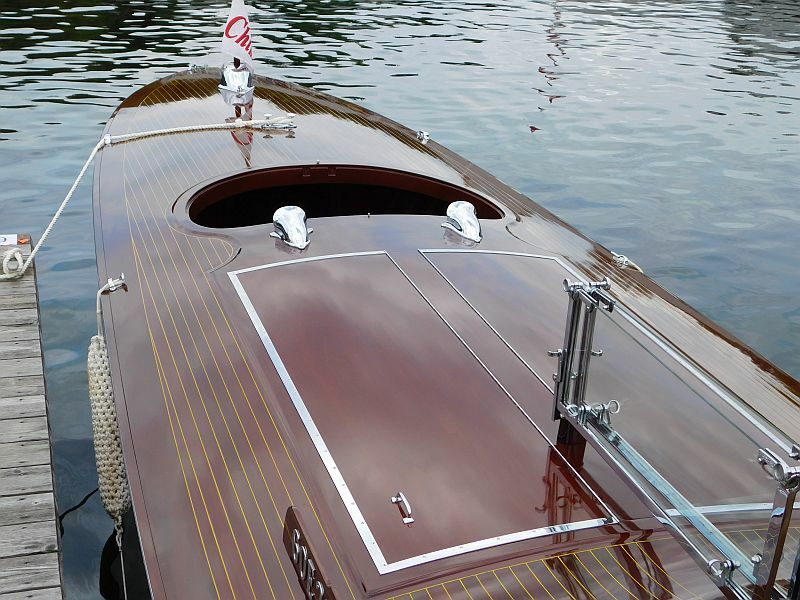 This boat has been structurally reinforced. 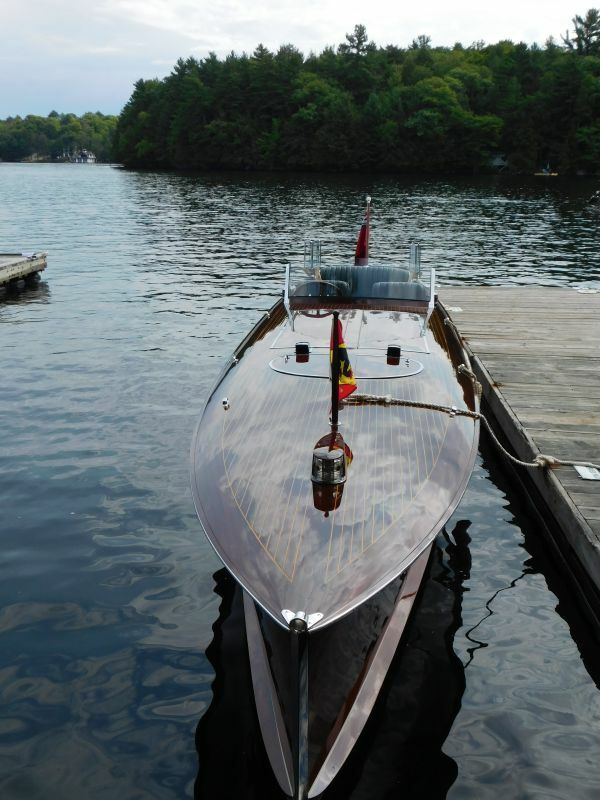 She’ll be stronger than when originally built. Don’t be fooled by the photo. This Grew is a BIG boat. 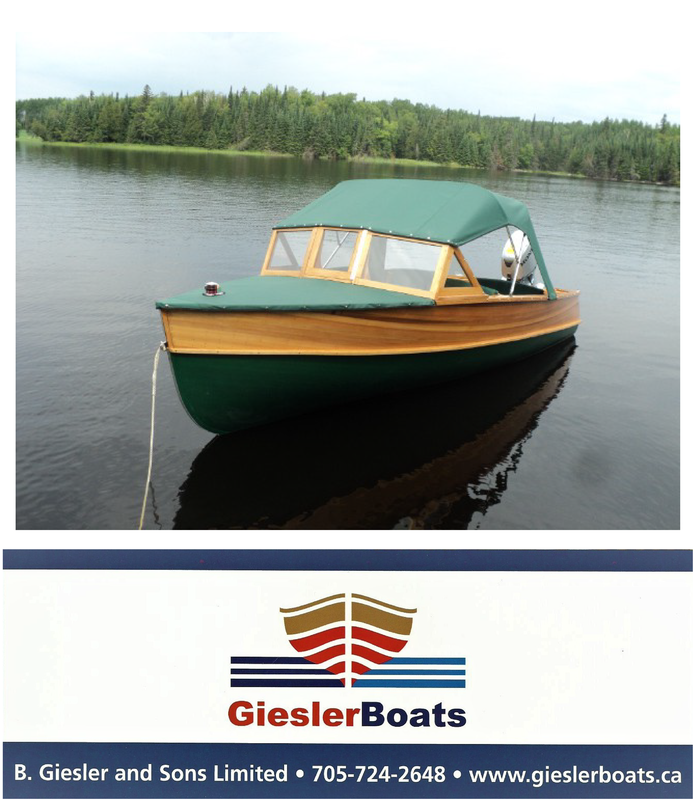 This Grenell is a new arrival in the shop. She’ll be examined for an evaluation of required work. 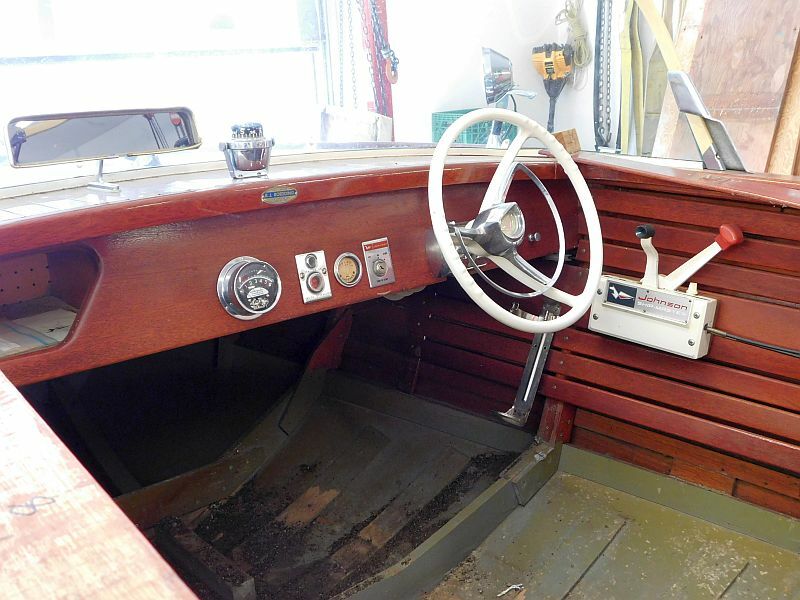 It looks like the hull, forward of the dash, might need some work. 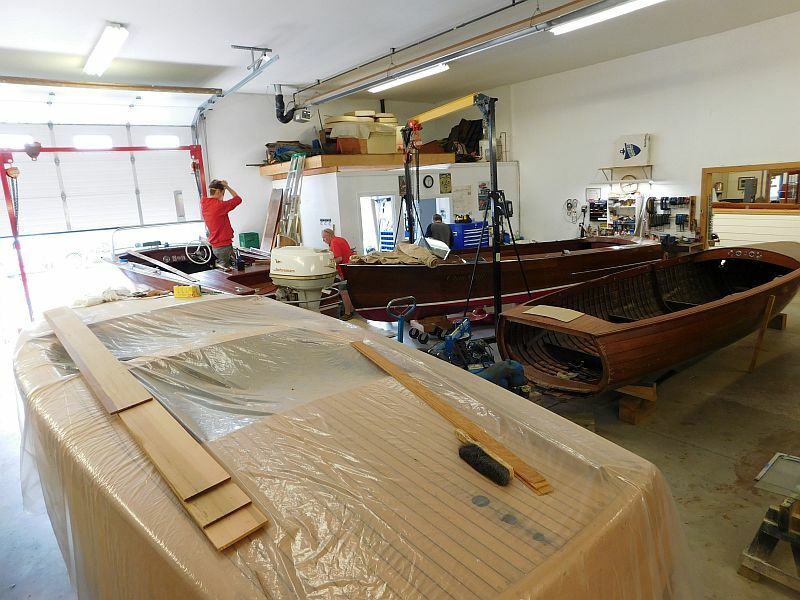 This is one of three major work areas at Butson Boats. 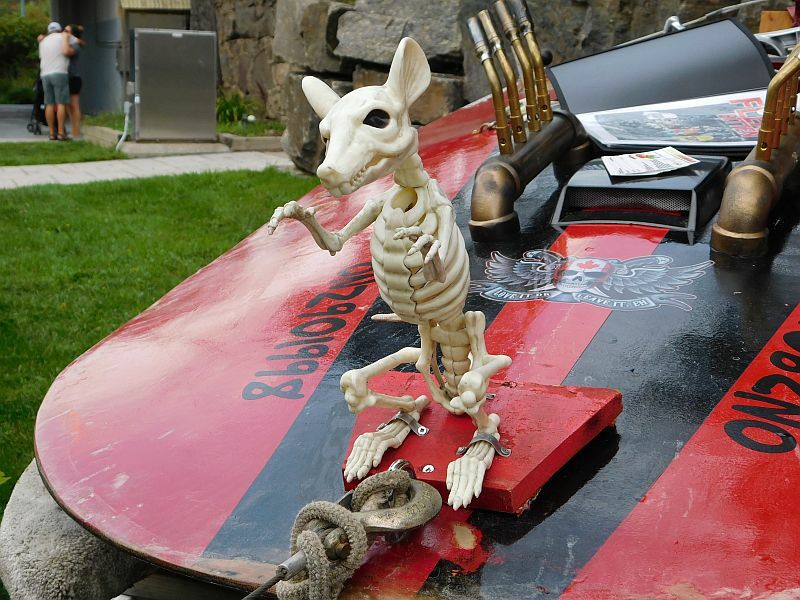 No salivating on the deck, please, speed lovers! 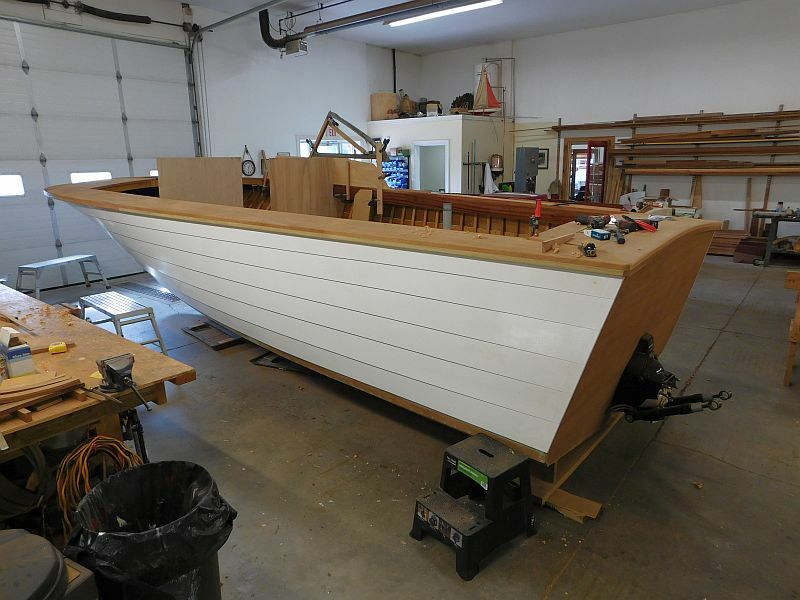 This racer is a new custom build at Butson’s. 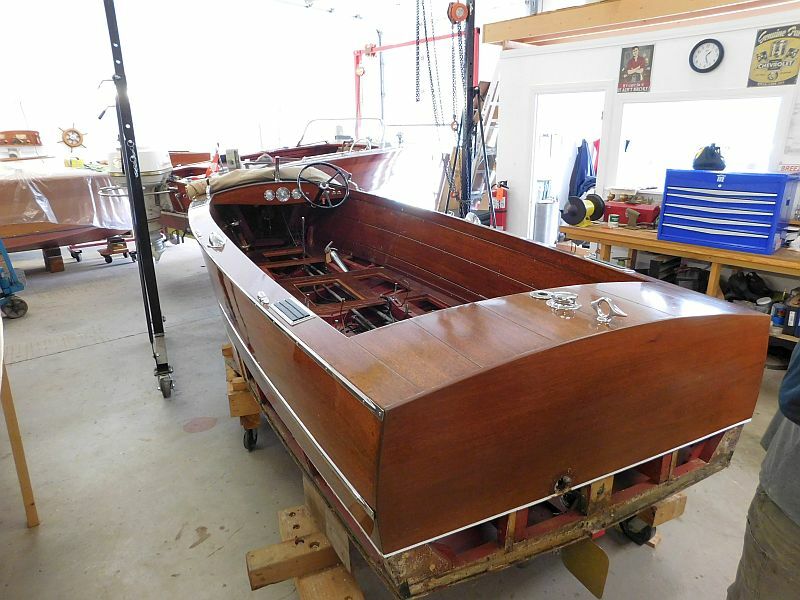 This Chris-Craft ski boat has had a new bottom installed. 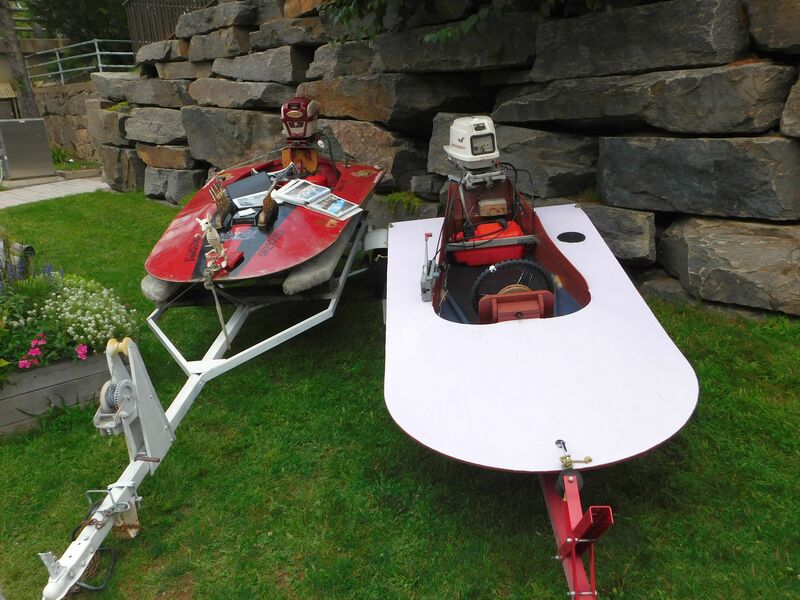 The owner is searching for a new ski pole. 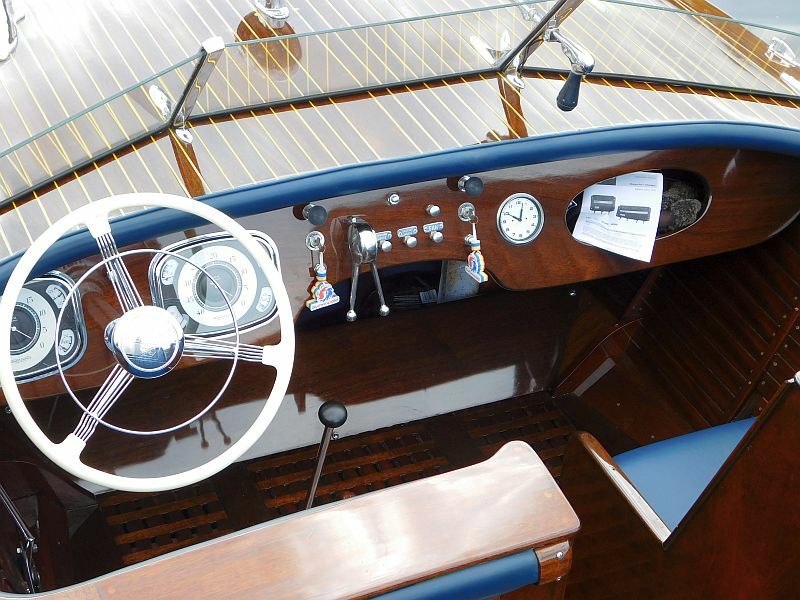 .Simple lines, but a very functional design. 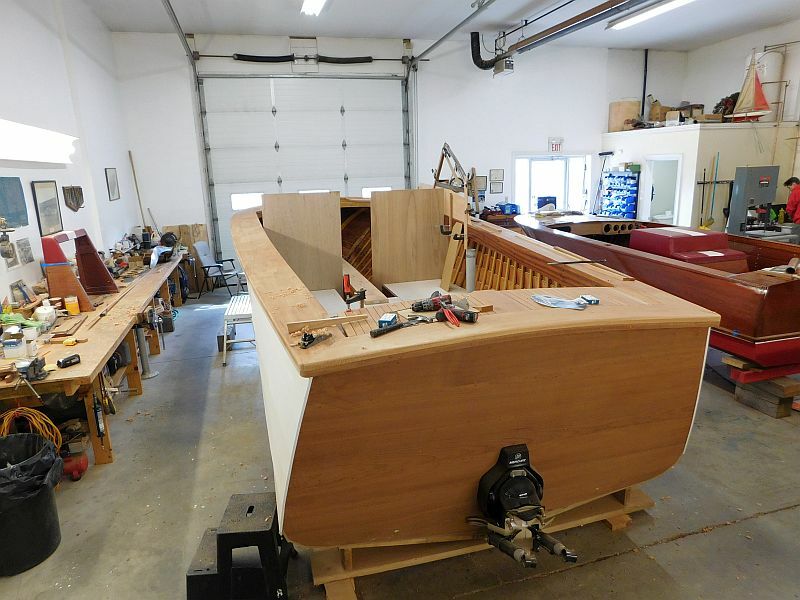 One half transom coming up! 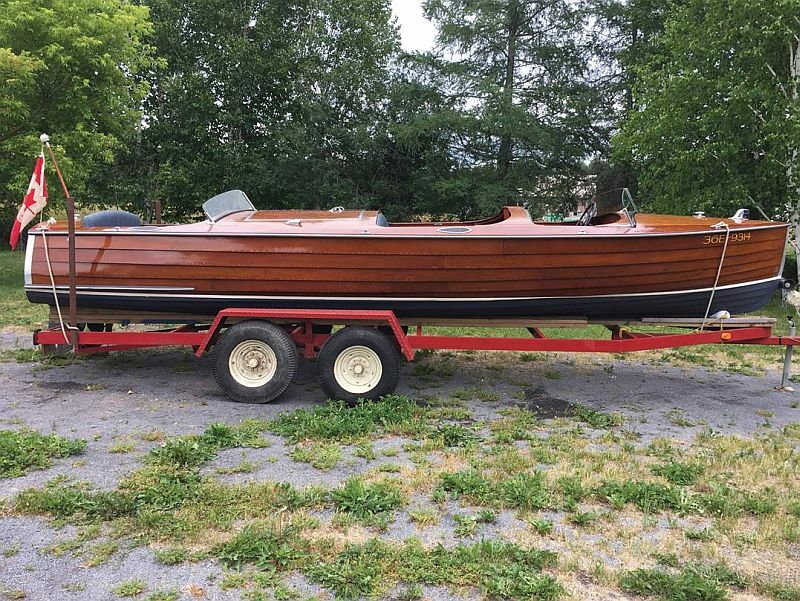 Tags: ACBS, antique boats, antique wooden boats, classic boats, Port Carling Boats, Tim Butson Boat Builder, vintage boats, vintage wooden boats, wooden boat restoration, wooden boats, woody boater Comments Off on What’s cooking at Butson’s boat shop? 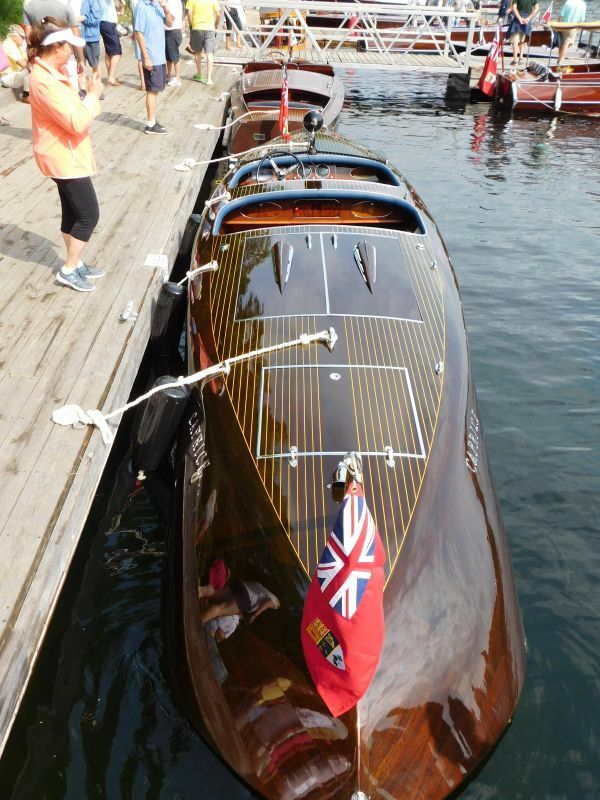 Highlights from the Muskoka Lakes Association Classic Boat Show. 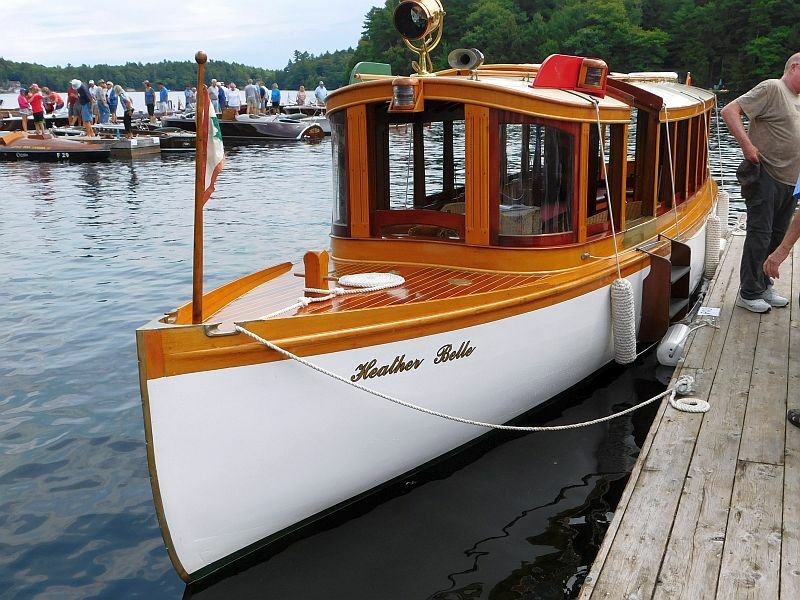 The bi-annual Muskoka Lakes Association Classic Boat Show, held this past Saturday August 11, is an “invitation only” event. 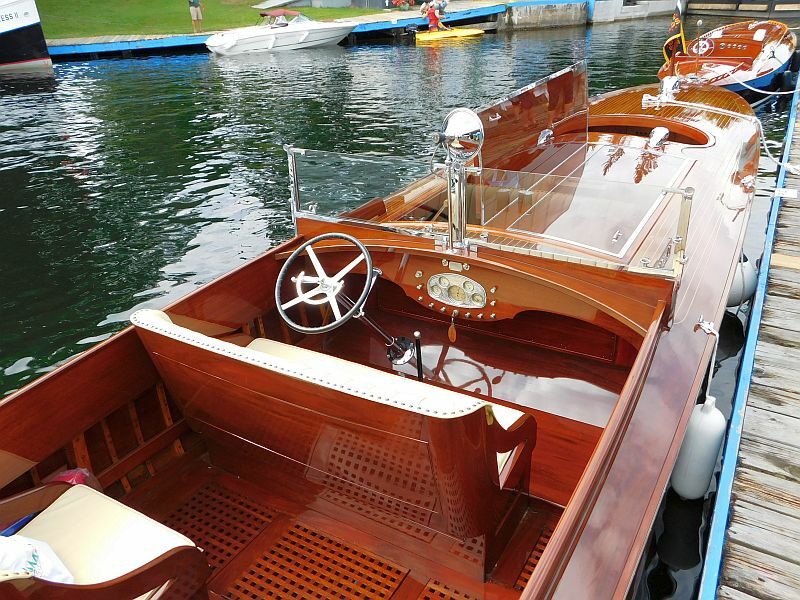 Consequently, the boats on the water in Port Carling represent the creme de la creme of vintage boating. 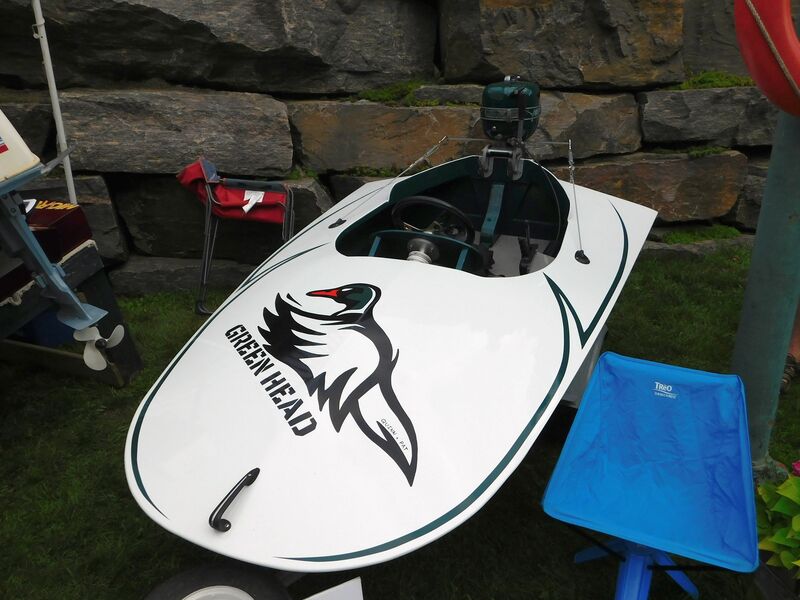 The weather cooperated and the crowds came out in therir hundereds. Hats off to the MLA! 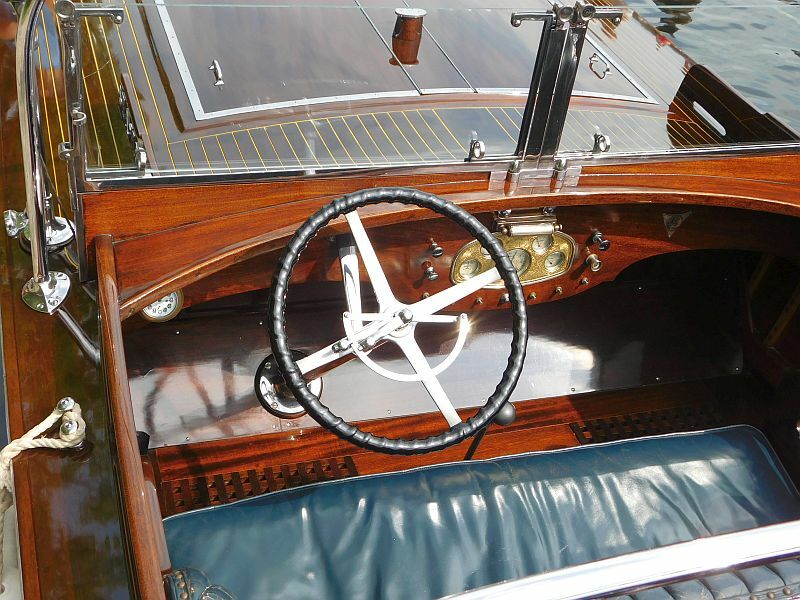 Enjoy the photos below and stay tuned for the video to follow. 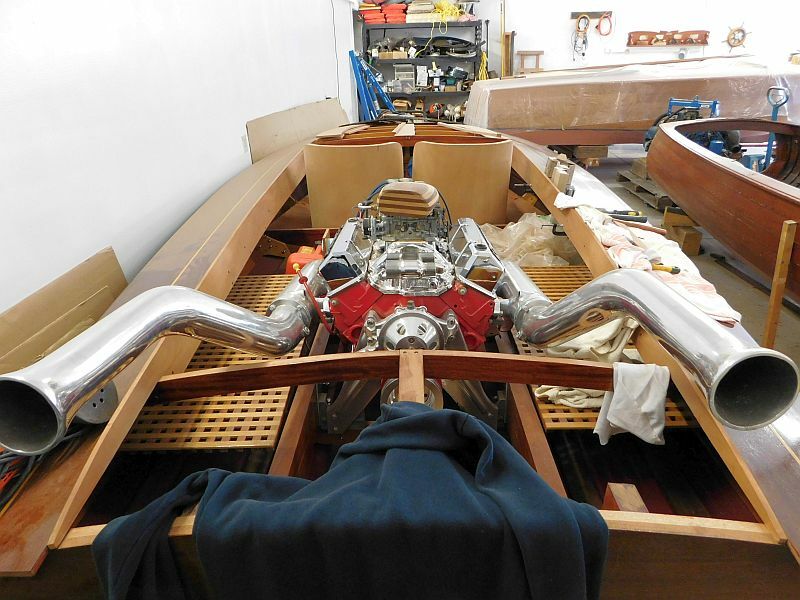 Heldena II, powered by a massive 12 cylinder Liberty converted air-craft engine. 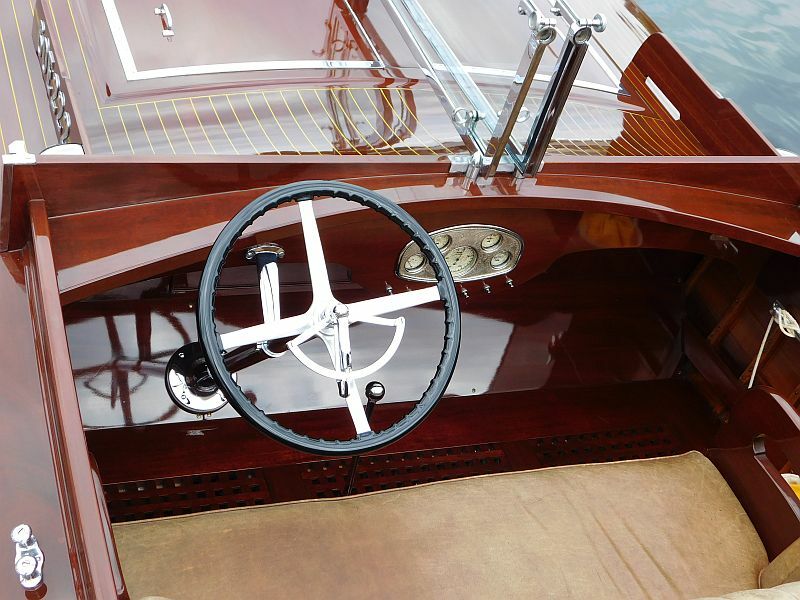 A banjo streering wheel complements this handsome dashboard…with even a clock! 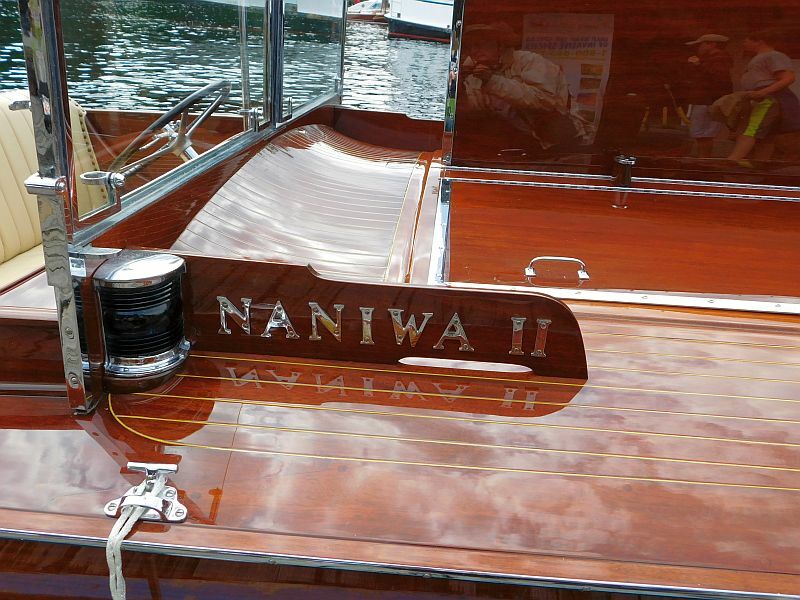 Miss Canada III was never beaten in a race she entered. 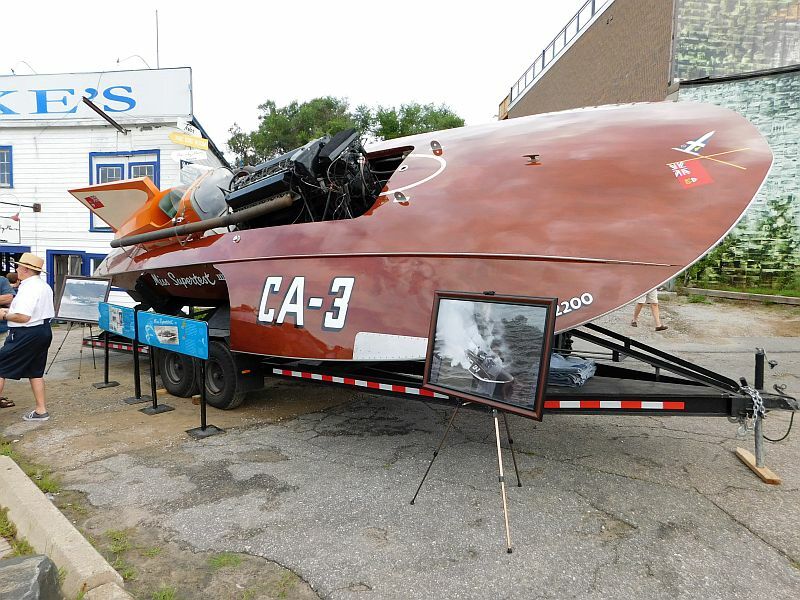 She is capable of over 200 mph. 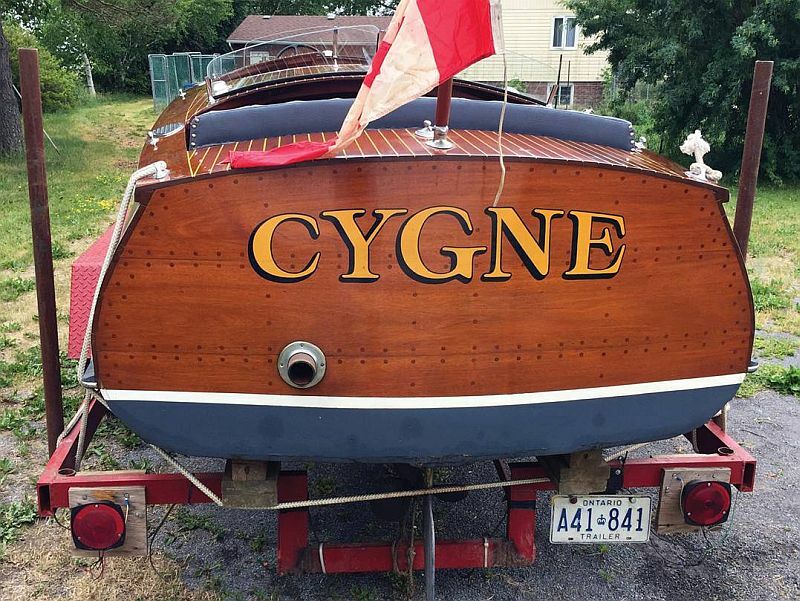 This sea-flea owner has a real sense of humour. 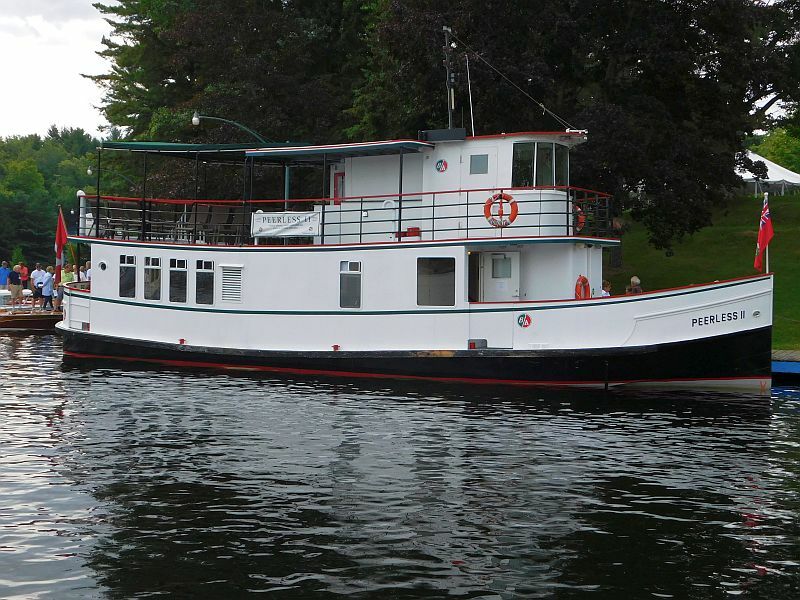 CaptainRandy Potts was available to take passengers on Peerless II, a reconstitued gasoline transport boat. 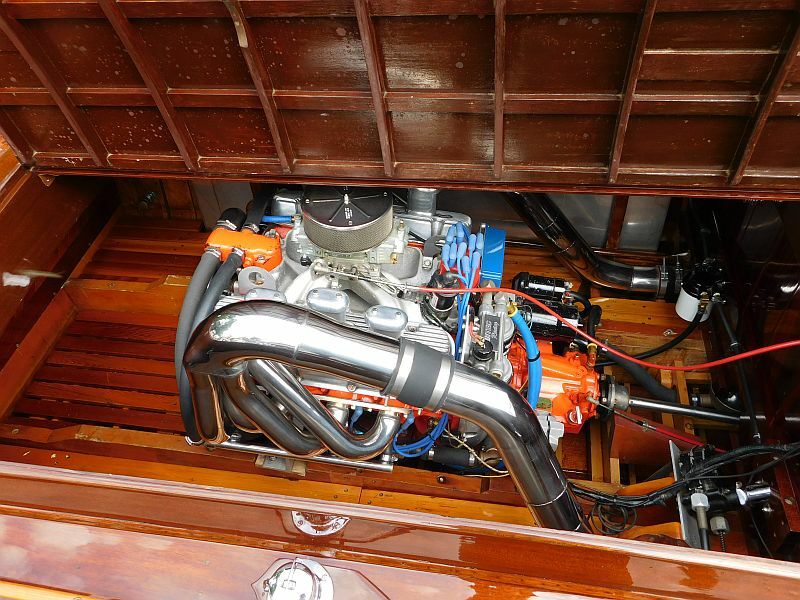 Talk about a clean engine! 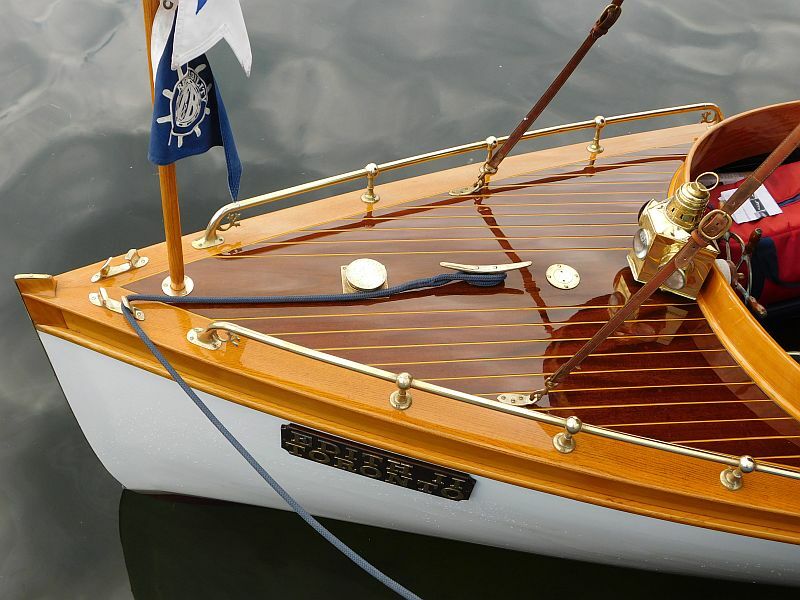 A real torpedo stern on this beauty. 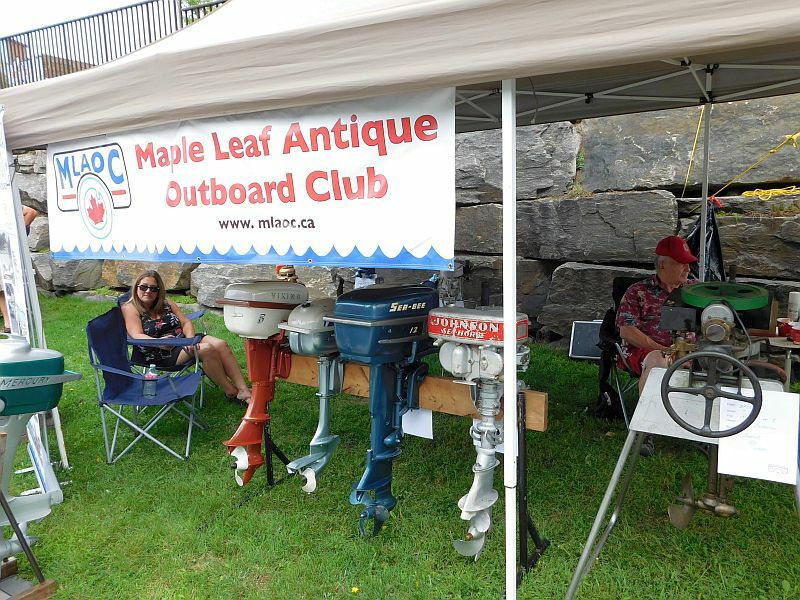 This year’s ML:A show was very well attended. 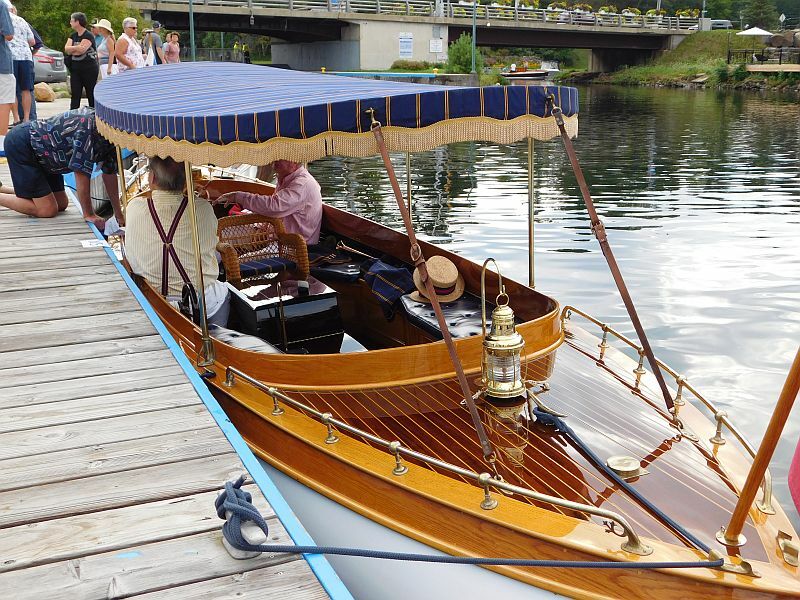 A wonderful wood-powered steamboat from the early 1900s. 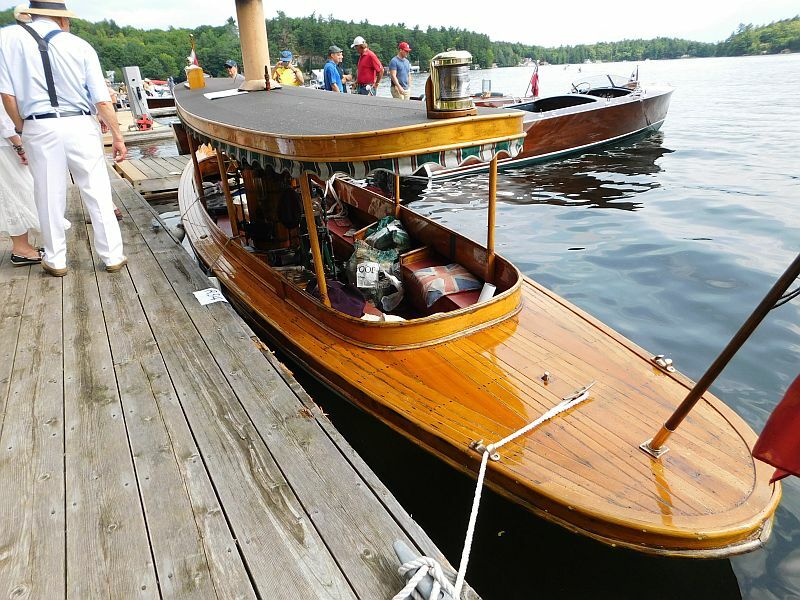 Tags: antique boats, antique wooden boats, classic boat show, classic boats, classic wooden boats, Muskoka antique boats, Muskoka classic boats, Muskoka Lakes Association Classic Boat Show, Muskoka wooden boats, Port Carling Boats, vintage wooden boats, wooden boats, woody boater Comments Off on Highlights from the Muskoka Lakes Association Classic Boat Show. 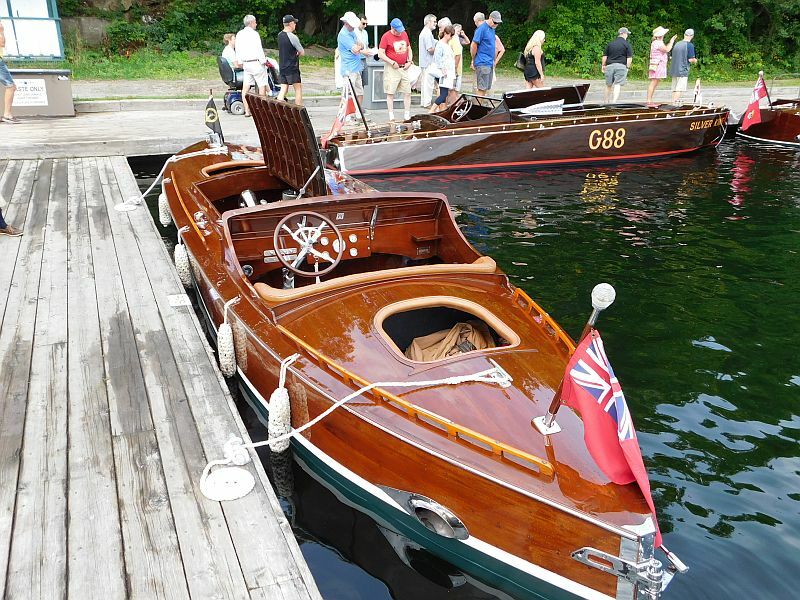 The Manotick Classic Boat Club will again this year host their Annual Shop Tour. 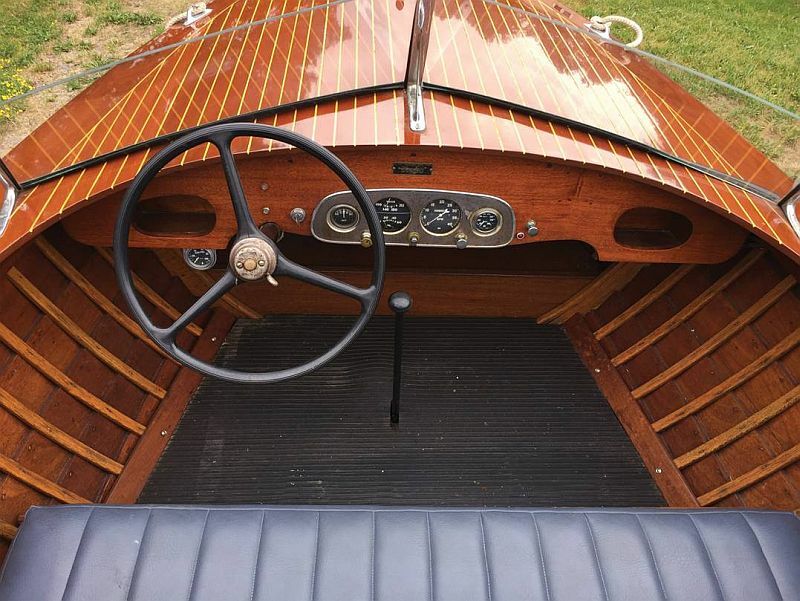 Be sure to take this opportunity to see some interesting and often rare boats undergoing repair or restoration, get hints and advice on your project from the pros or maybe find that boat or part you’ve been searching for. As always, your cost for the day is just your fuel and meals. 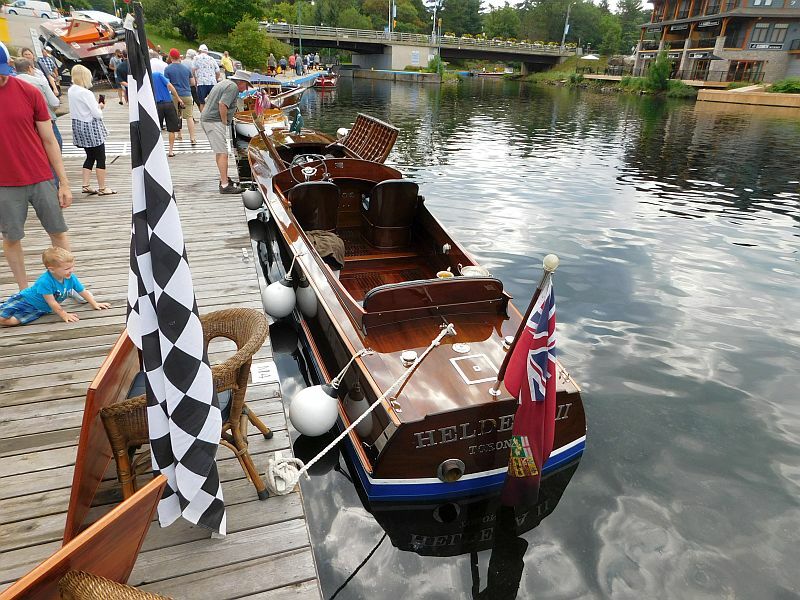 For details on the shops, directions and a map see the Manotick Chapter website under the “Events” tab. 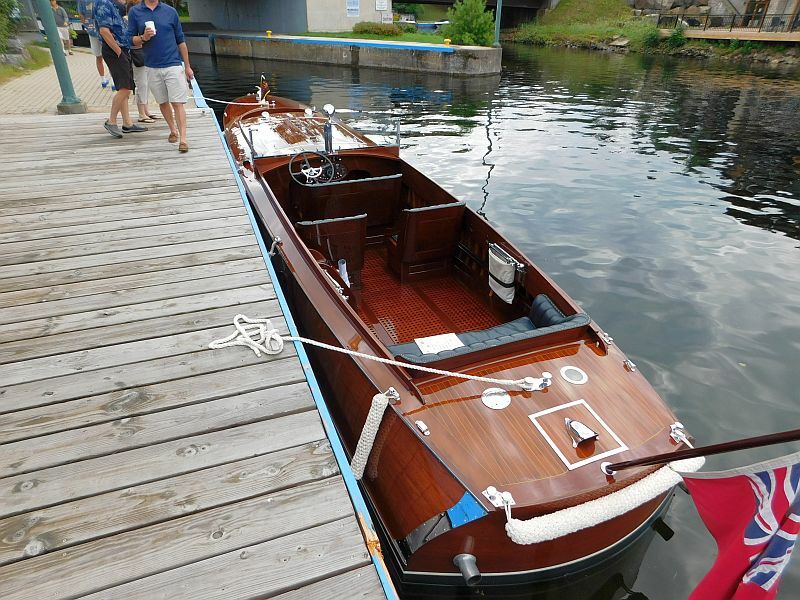 There will be six shops open for the Manotick Classic Boat Club 2016 Shop Tour. 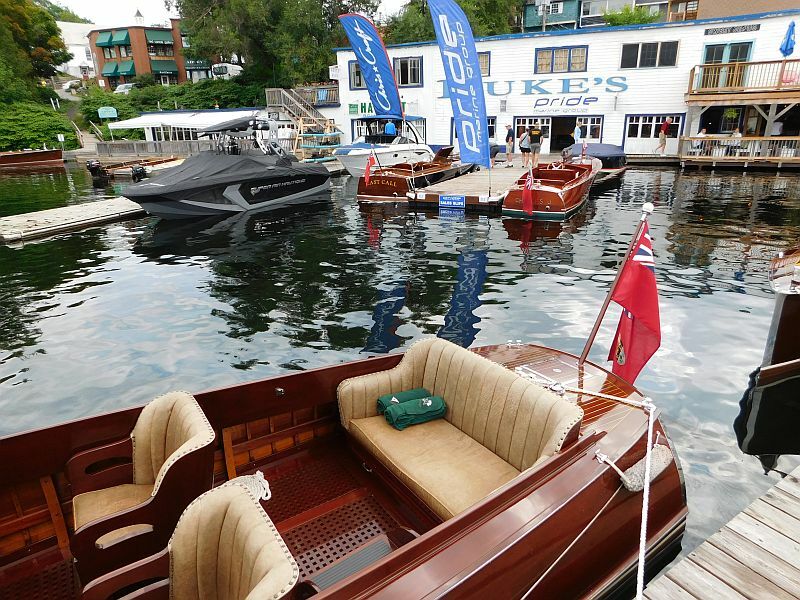 Then a gathering is planned at Marlborough Pub & Eatery.